The above was found in a family bible. Although its not identified, the family believes, due to resemblance to other family members, it could be Charles H. Person, who enlisted from Jamaica, Vermont, and served in Co. I, 4th Vermont Infantry. Charles died of typhoid at Camp Griffin, Virginia, in November 1861. He is buried in Jamaica. The bible contained several other photographs, including photographs of Charles' sister and his mother. If you can identify this soldier, either as Charles H. Person, or someone else, please contact Scott Billigmeier, Leesburg, Virginia, at SBmeier@msn.com. Charles is Scott's great-granduncle. The above was found in a box with other photographs originally owned by Nathaniel Thomas Wright, of Kingston, Plymouth County, Mass. 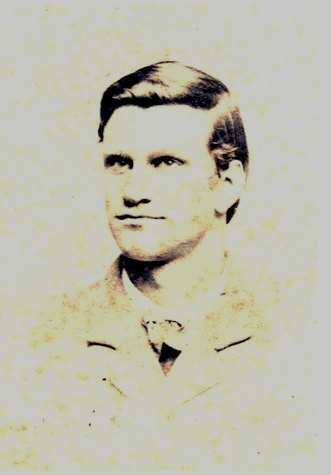 His first wife was Cora Tiffany (1861-1884), and her father was Otis E. Tiffany, both of Chelsea, Orange County, Vermont. The 1892 Revised Roster and 1864 Adjutant General's Report list an Otis Tiffany, Chelsea, age 34. He enlisted 7/21/1862, mustered in as a private in Co. G, 10th Vermont Infantry, was listed as missing in action 7/9/1864 (later found to have been taken prisoner) at the battle of Monocacy, and died in Staunton, Virginia 8/30/1864 of disease. Nathaniel and Cora (Tiffany) Wright are the great grandparents of Paul Wright, who would like to identify this photograph. One thing going against it is the soldier in the picture is a corporal, and there's no indication Otis was promoted from private. If you can identify the photograph, please contact Paul, winthropkeokuk@charter.net. See if you can identify any of the following soldiers. The Dennis Charles Collection has some unidentified soldiers. Men To Match The Mountain has a few unidentified Green Mountain Boys as well! Civil War Mysteries has a few too! 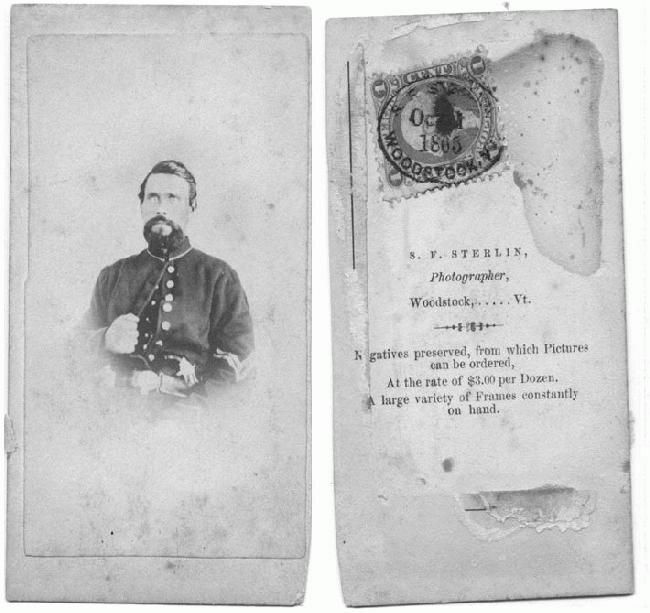 The Vermont Historical Society also has a photograph of an unidentified 2nd Vermont Volunteer Infantry soldier in a Vermont state overcoat.